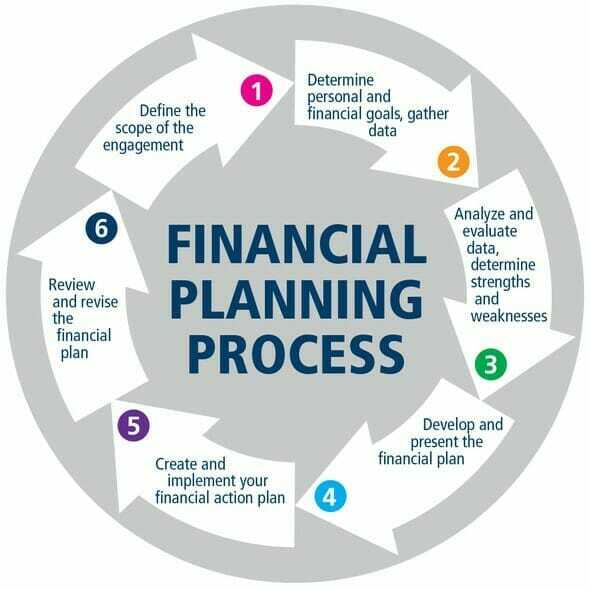 Ever wondered what financial planning process the pros use when working with clients to create a financial plan? You can actually do (most) of it at home. Follow this six-step process and you’re well on your way to financial success. Even though you’re both the client and the planner, you should still make sure to identify roles for other people involved. If you’re doing the planning with a significant other involved you should define who is going to be responsible for implementing and monitoring the decisions. Hopefully, you’ve started using Mint or other tools like it so you don’t have to go searching all corners of the world for your financial data. If you’ve been listening to us at Listen Money Matters this one should be pretty simple to start. Now for the more interesting part, establishing your expectations. At this point you will want to look at things like goals (financial and non-financial), how often you want to have check-ins, as well as personal goals like when you want to retire, life expectancy or healthcare costs. Some of them won’t be fun to consider but they’re certainly important you are creating your own financial plan. Most importantly, make sure that you’ve prioritized your goals. You’ll use that ranking throughout the rest of the process to determine where to allocate funds. You may not be a professional with access to software that can run Monte Carlo Simulations, but you can still make some very good headway here. Start with the basics. Answering any and all of these questions can help you find out where you stand today. Are you cash flow positive? Do you have any glaring outliers in your cash flows? Did your expectations of cash flow or net worth not match reality? Do you have any goals that are within reach or are completely out of reach without a course correction? Do you have a system in place to help you save for your goals? 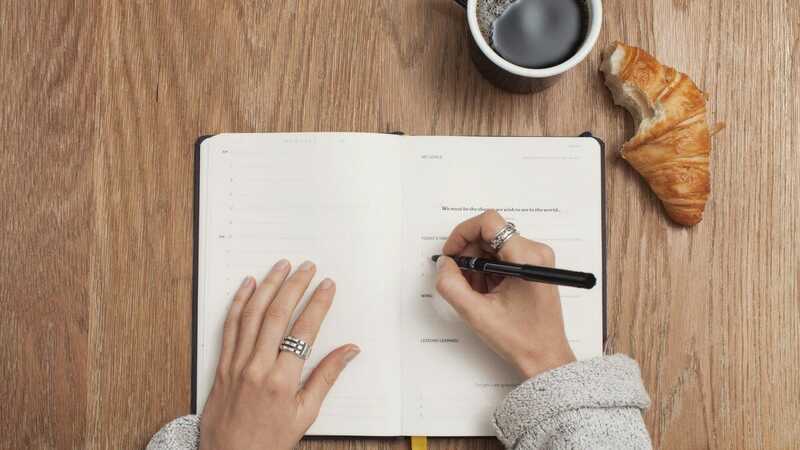 Now that you know what your goals are, ranked in priority order, and you’ve thoroughly analyzed your current state you’re ready to start planning for the future. Generally, I like to start by mapping future cash flows in a few parts. First you need to figure out how you will start using the money you already have by diagramming and setting up automatic-transfers to my various savings vehicles. Automation is the key here; if you don’t see the money coming in to your accounts you spend from you won’t notice that it’s missing. Personal Capital provides a free service that allows you to track all of your investments in one place and set up automated deposits. It’s like the investors version of Mint. The second is to map out what you plan to do with future pay increases. Does it all go in to the top goal? Does it get split evenly between the goals you are planning to fund? Similarly, you should make a plan for what you’ll cut if there are pay decreases. This one is clearly less fun but likely even more important. You should also take a look at minimizing your potential downside, either by explicitly accepting/avoiding risks or by insuring yourself. Why would you buy insurance? To pass your risk on to someone else. When considering insurance it’s often helpful to get an outside opinion, but if you plan to do it yourself there are a couple of things you can do. First, you can go through the probability/magnitude matrix below to decide if you want to offload the risk. You want to weigh whether the frequency and impact of the potentially insurable event happening (sickness, car accident, etc) is low or high. Low frequency and little impact would be something like a direct meteor strike. Little impact high frequency is things such as nicks and cuts, sore muscles, lost household items. You’ll only likely want to insure those events that are low frequency but high impact. It would be nice to protect high impact and high frequency items but the cost you would have to pay would be exorbitant. Types of insurance to consider are life (if others are depending on your income or services), health (now legally required in the United States), auto (often legally required), renter’s/homeowner’s, disability, and long-term care. It can be hard to know exactly what kinds of coverage you need and how much. If you aren’t into speaking with a pushy insurance salesman, check out PolicyGenius. They will give you an Insurance Check Up in five minutes to uncover what types of insurance you may need to get. Estate planning is another area to consider. If your situation is somewhat complicated it’s an area that’s especially important to consult an estate attorney. Which reminds me, I’m not an estate attorney so please don’t take this as official, legal advice. What is considered part of your estate? Your estate is everything that you own in your name or have control over in such a way that you can give benefit to yourself. This includes things you’d expect like your house, car, and retirement accounts but it also includes things you might not expect like your pets! You want to make sure you have a plan in place in case you’re incapacitated or die. Finally, you should consider your investments. Even if you don’t have much invested right now it’s good to have a plan for what you’re going to do going forward. I’m won’t give you any advice geared towards specific investments here. You need to know your own situation to actually have a good idea of what’s best for you so instead we’re going to stick with some rough rules of thumb. If you’re looking at two relatively equal investments you should go with the one with lower fees. You also need to be diversified in your investing. Having everything in a handful of different stocks is not diversified. Having a bunch of stocks in one industry is not diversified. Having only stocks is not diversified! You want to consider other options as well like bonds, real estate, and commodities. The important thing is to have your eggs in many baskets. Next you need to consider your timelines, goals, and risk tolerance. If you’re financially set, you might want to focus on minimizing downside as opposed to growing wealth. If you’re just starting out and have decades before you are financially independent, it likely makes sense to take riskier, more illiquid investments. If you’re just about to retire, you probably don’t want to be heavily leveraged. There are tons of good investments out there but you need decide if they’re right for you. It’s important to create an investing plan for you and review it over time to make sure it’s still relevant to you. This is certainly not an easy step as it’s the part with the most friction. Here’s where the rubber meets the road. The key in implementation is to not let yourself lose momentum– it can be very easy to let things that take a while drop off you plate. If you’ve made it this far on your own this is where you’ll need to enlist at least some outside help. You may need an estate attorney if you have any sort of elaborate measures to put in place or any unanswered questions. Everyone’s implementation process will be different because it should match what you planned. I’ve found that it helps to create a schedule of discrete tasks to accomplish over a week. You will find it a lot easier to accomplish the one small thing at a time. Buckle down, get it done in the way that works best for you. Looking for your employee benefits can be very helpful to your implementation. Generally, what you get through work covers several of the topics I’ve outlined. If you’re working for a larger employer you likely have access to specific investment vehicles like a 401k, 403(b) or SEP, inexpensive insurance, and sometimes even legal services. Make sure that you’re helping yourself out by taking full advantage of what’s available to you! Even though it’s not very fun to think about, you also want to keep track of the tax implications of your different decisions. If you’re quite well off there can be massive tax implications to an improperly formulated estate plan. There are ways you could legally avoid a lot of taxes by using certain insurance products. If you’re just starting out, minimize your taxable income by contributing to different retirement vehicles. If you’re self-employed you can often reduce your taxable income by making sure you take advantage of any write-offs. As an investor, you can know the basics of capital gains taxes and ensure that you’re not sticking yourself with a higher than necessary bill. The name of the game is legal tax avoidance when possible. I mean come on, if you’re earning $40k a year each dollar extra you earn is taxed at least 25%. Imagine how much more quickly you could implement a plan with even 10% more money. Be reasonable with yourself and don’t try and tackle the whole thing in one go. You don’t want to create a task that looks so big from the start that you never actually dive in to it. You could start with a plan for just one of the areas like investing, insurance protection, or estate planning. Just make sure that as you’re drafting each plan it’s in alignment with what you previously created. Despite the amount we’ve done so far, you’re not done yet. In fact, you’re never done but don’t worry; this part takes a lot less active work than the sections we’ve outlined above. To quote Helmuth von Moltke, a Prussian military strategist, “No plan survives first contact with the enemy“. You’ll find areas where you plan was incomplete, areas where you made incorrect assumptions, areas where your life has changed since drafting the initial plan, and outside forces you can’t control, all of which can make your beautifully crafted plan out of date. That’s fine and expected. Your job is to take in the new information and use it to alter your plan accordingly. 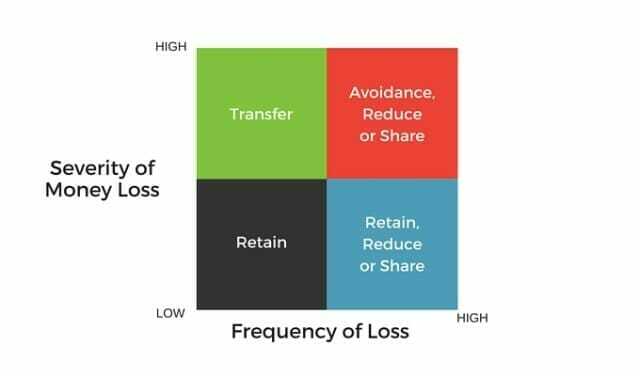 This doesn’t mean that if there’s a 10% market drop you should abandon ship with your investing plans but it could give you some insight in to how well constructed and diversified your portfolio is. Life changes like marriage, kids, and death of a loved one all can dramatically change your estate plan and insurance needs and likely couldn’t have been accurately predicted when you were planning. As long as you are vigilant and build in a somewhat reasonable review process you should be ok.
My wife and I discuss our spending at the end of each month. We grab a bottle of wine and go through each Mint category of spending to make sure that we understand areas where we did well or poorly. We also take the opportunity to categorize expenses that didn’t come through correctly. By doing a little work each month, we’re keeping ourselves informed and increasing our chances to catch something major like an area we need to work on our fraud. There might be times when you need to completely scrap what you had before and restart the process. That’s fine. You don’t want to be relying on a rigid plan that doesn’t have any bearing on your current situation. It can be daunting to completely restart on a plan or plan section but that’s life. So what do you think? It’s not an easy six step process which is why people often rely on professionals. I say if you’re really in to doing things yourself you absolutely can, as long as you’re willing to put in the time. It will take time to both learn the basic knowledge that you need to craft the plan as well as how to implement it. However, with time and effort and some initial expense outlay (lawyers aren’t cheap and insurance isn’t always cheap) you can help develop peace of mind and reach your goals more quickly. You should keep in mind that while it’s easy to get bogged down in process it’s always about your goals, the why of what you’re doing. If you can keep those front and center you can own this process and make it work for you. Find out how to get started investing, optimize your performance and which investments are right for you.